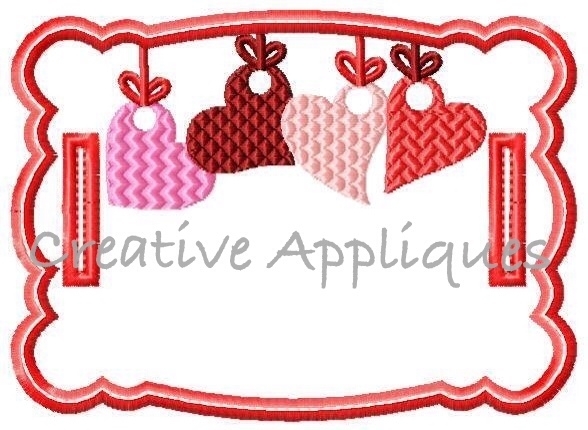 Heart Frame Charm - 4 Sizes! This design is an in the hoop patch with hearts. It is all created in the hoop with no additional sewing needed. It is perfect to add a name, monogram or saying. Or make it in some really pretty fabric to dress up your home. Make several and link them together to create a banner. Charms are perfect to use to decorate a pillow, a jar of candy, a bottle of lotion or hand sanitizer, even wrap around a lamp shade. The possibilities are endless! NOTE: this sale is for a patch with hearts. No fonts are included. Pictures shown above are examples only. You will receive the design in 4 sizes: 3 inch, 4 inch, 5 inch, and 6 inch. All four (4) sizes come with buttonholes on the sides. LOVE Ladybug Applique - 4 Sizes! 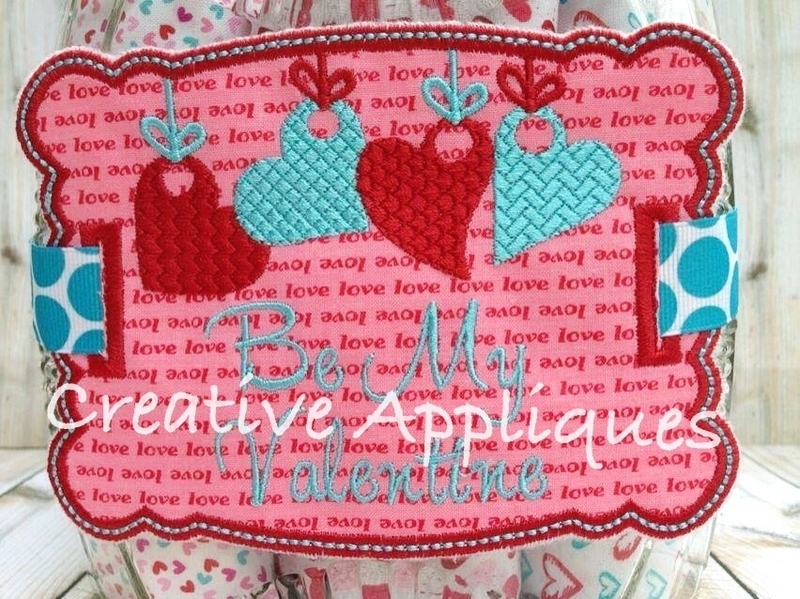 1st Valentine's Day Applique - 4 Sizes! All designs are digitized by me and have been tested.